Remember Me could've been so much more. It had the balls to start something truly interesting, create a dystopian future world that was interesting on a level I haven't seen too often, but it failed to deliver on the scope. A future of commercialized memories. 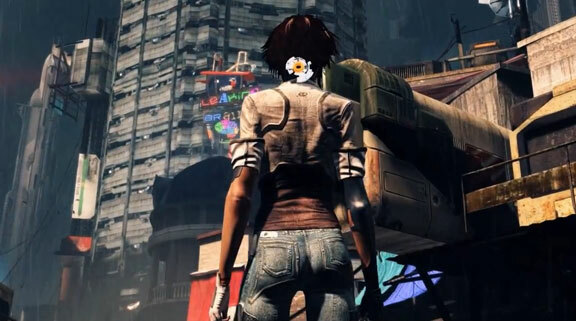 As Nilin, a "Memory Hunter" that can enter and actively change subtle things in someone's memory, such as moving a table a mere foot into someone's path, causing a completely new chain of events and subsequently creating a divergent memory. Nilin has a unique ability to CHANGE MEMORIES and thus CHANGE PEOPLE, but the creators of the game only gave us 4 times to really use it. This is a grand premise to begin with. Only it isn't developed properly. It fails because it lacks a singular purpose. What could've been done if this memory remixing was the focus. Make a stealth game where you can alter a guard's memory to sneak past. A game that in the end you've become your own problem because while you may have wiped enemy minds, you've also erased things imperative to your own survival- maybe someone had idea's to assist you, but in changing the memory you are now an unknown or an enemy? I wonder what kind of game could've been made if they had left out much of the cheap and linear platforming. Neo Paris, despite it's ludicrous name, is an intriguing place. Maybe some exploration might've added to the experience, maybe not. If they would've made it more open world and less restricted Remember Me could've been just a little bit better. Bland combat systems became an annoyance too. It's not terrible, just dull. Even the adaptable combos that allow you to tailor to your needs (you can add power hits, health regeneration, cooldown additions, etc) and it still gets to be just a bit too tedious by the 60% complete mark. Combat is unremarkable at best, boring at worst. Honestly, the worst enemy in combat was the camera. It got all wonky on a regular basis, and would seemingly at random look away from the attackers I needed to see to dodge. It's damn frustrating when the camera is constantly working against you. What I did like in this game was actually a few things. I really like the main character Nilin's design. She has the major potential to be quite a new Lara Croft level badass. The "Remembranes" are a nice addition as well- strange ghost like memories other people leave that you can access. Lastly- I REALLY like the Zorn robot design. Especially the roar it does, because when it happens an old black & white, grainy film looking yelling mouth hologram is projected. Strange, but I like it anyway. When you boil it down, Remember Me isn't bad, it just doesn't live up to it's concepts. The comic book I got with the preorder was better at handling the ideas than the game. If they somehow get the backing for a sequel, they can do this story justice, and maybe they can put the wonderful potential in this game to use. 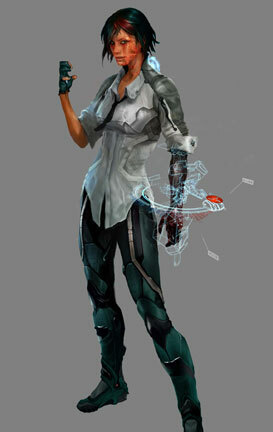 On a side note: I wonder why they didn't go with this concept art design of Nilin? I like it much better than what they went with, clothing wise.